Styling tools like straighteners and curling irons make it easier to switch up your hair’s texture from day to day. 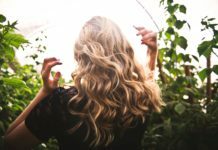 But if you’re tired of putting waves into straight hair or dealing with an irregular curl pattern on a regular basis, you might be searching for a more long-term solution to your hair woes. Enter the perm! This chemical process can put curls and waves in your hair permanently by breaking down its natural structure. 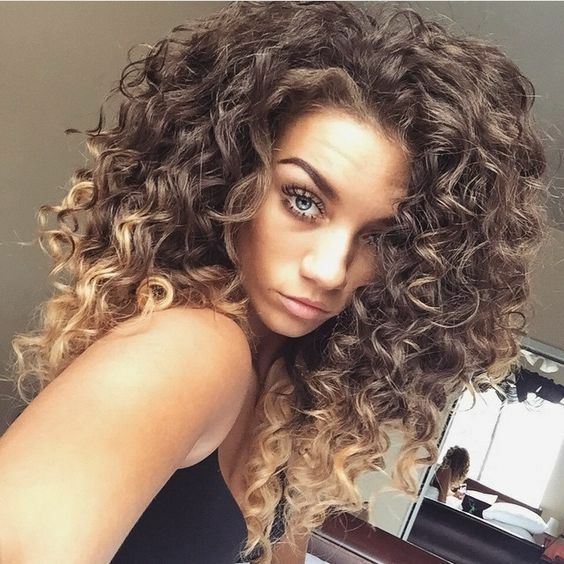 One of the most popular ways to get the look uses a spiral perm technique. If you’re considering going permanently curly, we’re giving you the details on how to tell a spiral perm vs regular perm, along with various style possibilities and things to consider before the process. 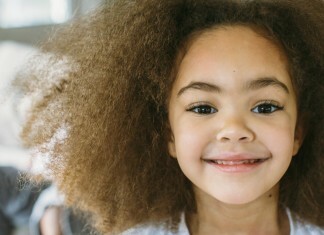 Both spiral perms and regular perms use chemicals to break down the hair’s structure. 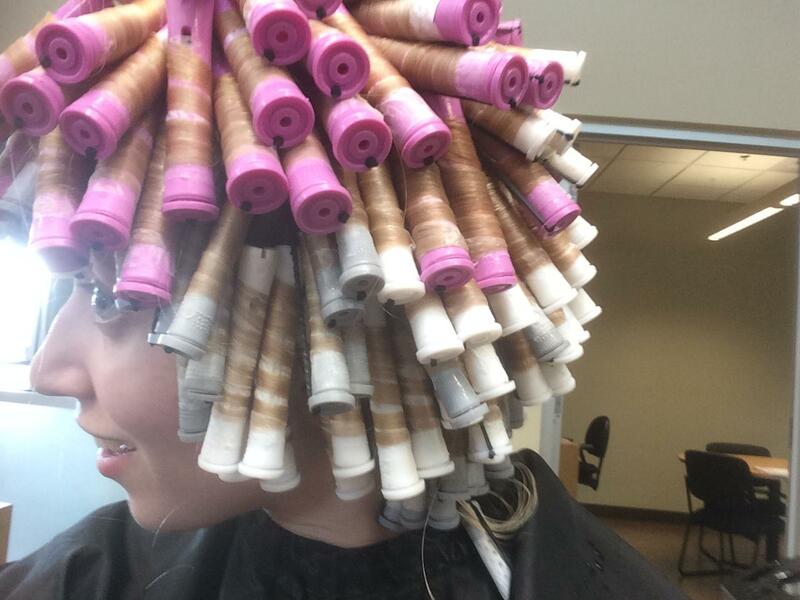 When hair is wrapped around rods and these chemicals are applied, the strands will take on their new curly shape. 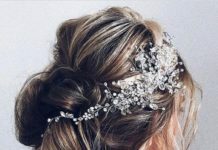 The specific chemicals used can vary depending on your hair type, and it’s best to stick to having a professional perform this service to avoid seriously damaging your hair. 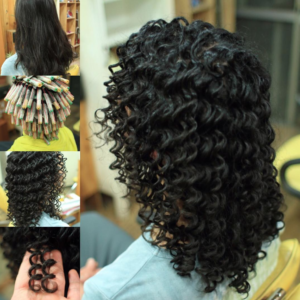 Like the name suggests, a spiral perm creates a specific shaped curl that looks like a ringlet. A regular perm creates waves in the hair that are typically looser, although this depends on the size of rods used. 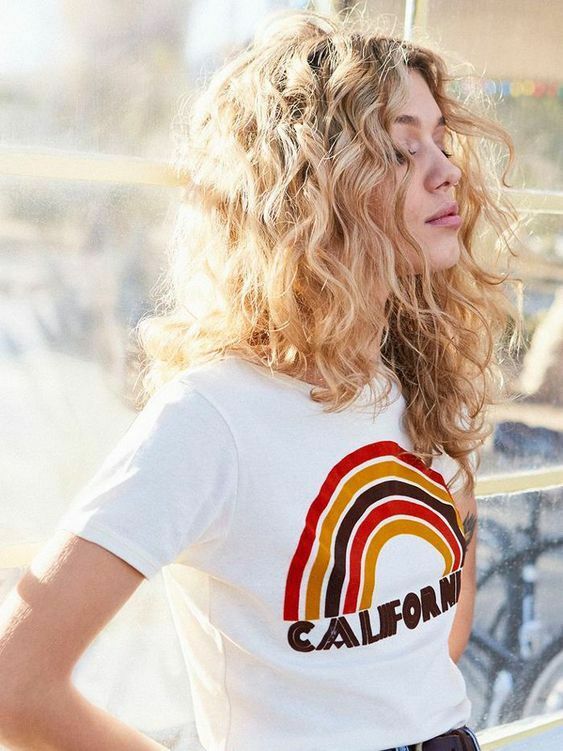 Celebrities like Taylor Swift and AnnaLynne McCord have been blessed with natural spiral curls, and if you’ve been jonesing after their hair’s texture, a spiral perm can help you sport the style for months on end. You can get a similar look using a curling iron, but depending on how thick your hair is and the size of spiral curls you’re going for, it can take several hours to achieve the same look. 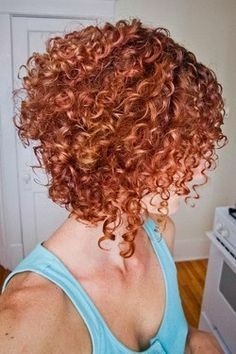 Spiral perms use the same chemicals as a regular perm, but hair is wrapped around perm rods using a different technique. In a regular perm, hair is wrapped around horizontal perm rods. To get a spiral look, the rods are held in a vertical position, and hair is wrapped around them from top to bottom. 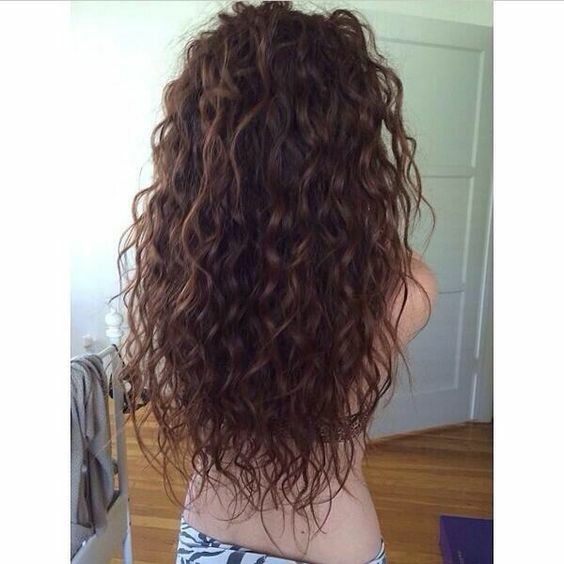 4How long should hair be before a spiral perm? 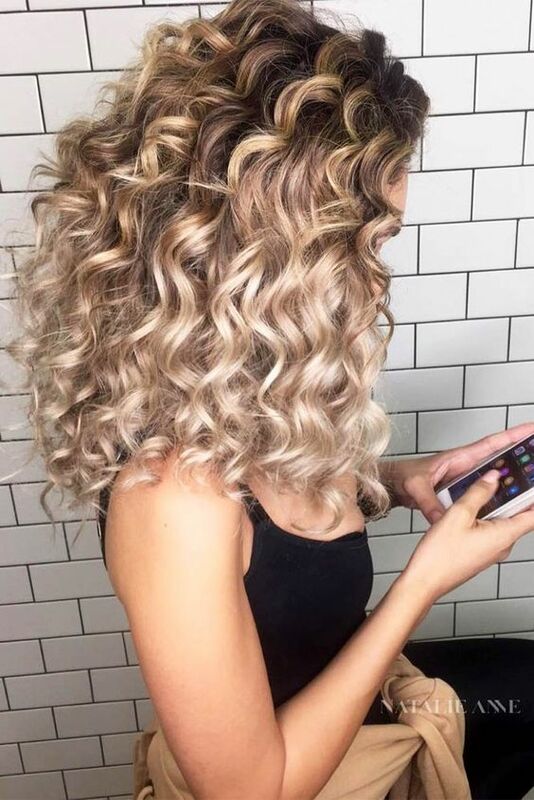 A freshly done spiral perm will make your hair appear several inches shorter, especially if it was relatively straight before. 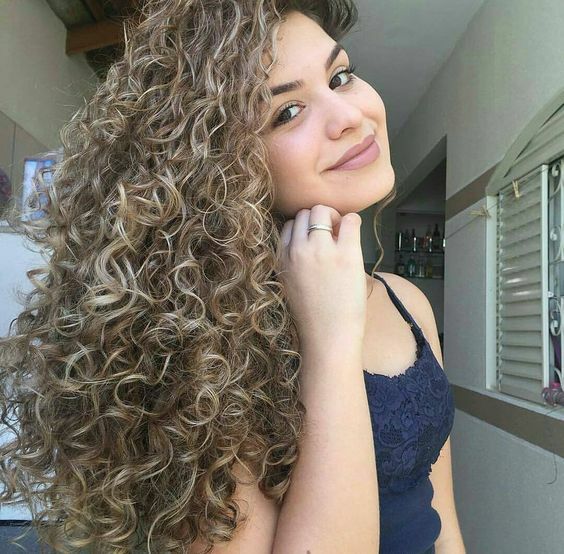 For this reason, most stylists recommend waiting until your hair is at least 6 inches long before considering a spiral perm. 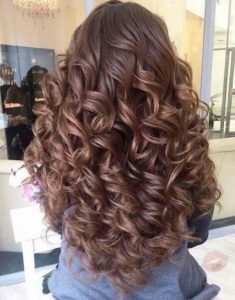 If you want long, cascading spiral curls, we recommend growing your hair out quite long before having a spiral perm. 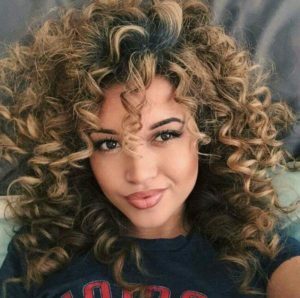 5What texture works best with a spiral perm? 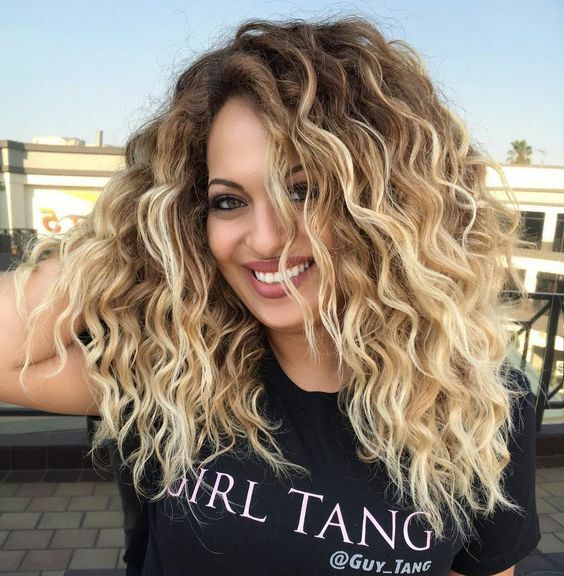 If you’ve got very fine hair that has trouble holding a curl, a spiral perm might not result in the bouncy ringlets you’re looking for. Spiral perms seem to take best to hair that’s more coarsely textured, or strands that already have some natural curls or waves in them. This means a spiral perm hairstyle is a popular choice for women with hair that’s got an irregular curl pattern. The spiral technique helps to create a uniform look that doesn’t need to be touched up with heat styling tools. Once you have a spiral perm, you’ll need to take care of it properly to maintain your new curls. Ideally for the first 48 hours after a perm you’ll leave your hair alone. This means no washing (or getting it wet, even if you don’t shampoo), no heat styling tools, and as little manipulation as possible. The longer you can go without washing your hair, the better. When you do wash your hair, use products like sulfate free shampoo that are specially formulated for chemically processed hair. Any other chemical treatments should wait for at least a week after your spiral perm. If in doubt, ask your stylist if your hair is healthy enough to stand up to bleaching or lightening post perm. 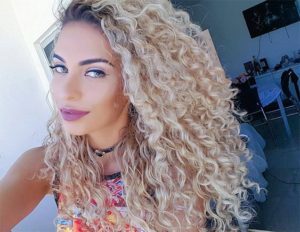 7How long does a spiral perm last? 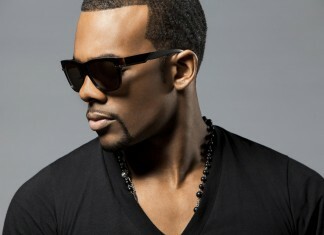 Perm is short for permanent, and hair that’s been permed will remain curly until it’s grown out or cut off. But both spiral and regular perm curls tend to loosen over time. If you’re looking for very tight, bouncy curls, you may want to have the process refreshed every six months to one year. 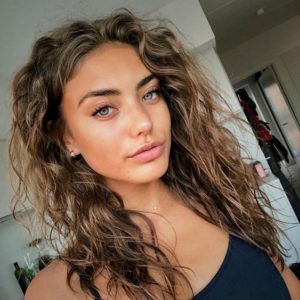 Not paying attention to perm aftercare can mean your curls don’t set as uniformly as you’d like, but washing your hair straight after a perm won’t completely undo it. Your hair should be in good condition before considering any type of perm. 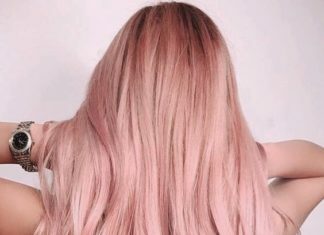 If your hair isn’t healthy enough to bleach or chemically lighten, it’s not healthy enough to perm. Unfortunately, this means that perms aren’t an option for restoring the curl pattern to heat damaged hair. 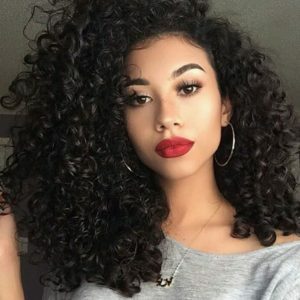 If you’re trying to grow out hair that’s been damaged by bleach or heat, stick with healthy, no heat curls until your hair gets long enough to trim the damaged sections. A spiral perm might even cause your hair color to lighten a shade or two, so it’s a good idea to be open to having slightly lighter locks before you decide on a perm. This long spiral perm puts gorgeous texture into ultra long red locks. 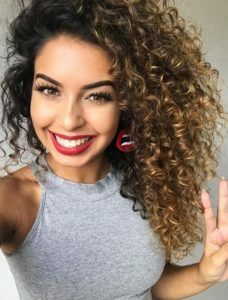 If you’ve got thick hair that’s difficult to style from day to day, a spiral perm can give you uniform curls in an easy wash-and-go style. If you’re looking for soft texture to go with your beach blonde hair, a spiral perm can give you volume for days. 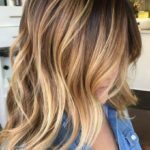 Dark roots help to balance out the light shades of blonde in this look, and leave you with some room for hair to grow in between color touch ups. 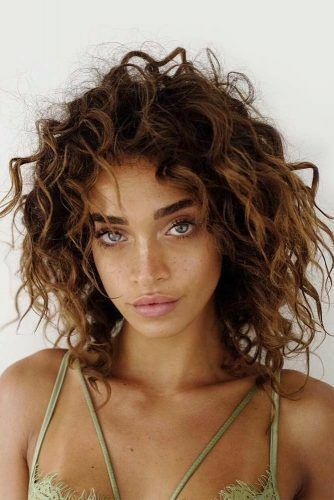 Hair with lots of short layers can be tricky to wear in a spiral perm, but soft layers on longer hair can help to create new shape in your bouncy style. 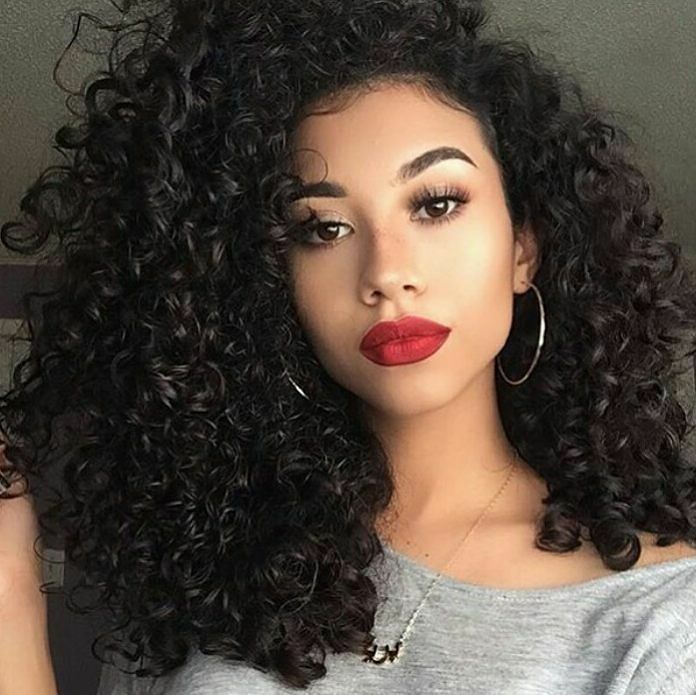 If you’ve got a long, thin face, this spiral perm hairstyle can help to add width to the sides of your face, especially when worn in a deep side part. 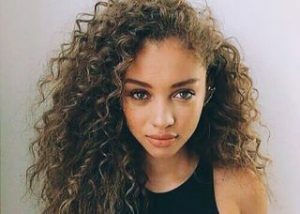 Naturally curly hair doesn’t always behave itself, and many people have more than one curl pattern on their head. A spiral perm can help to uniformly define the natural curls all over your head, giving you an easier style to maintain from day to day. 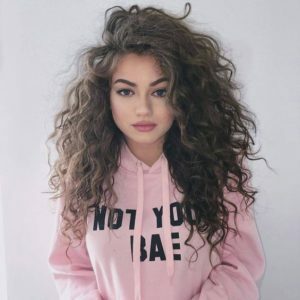 If you’re considering perming naturally curly hair, it’s especially important to visit a professional who has experience with your specific hair type. 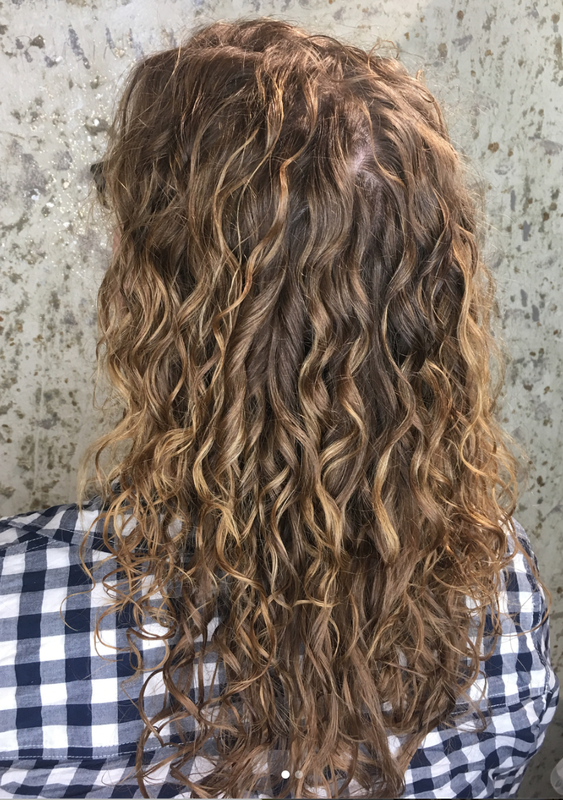 The deep texture in this spiral perm was created using larger perm rods. These big, defined ringlets look great both worn down and in updos. 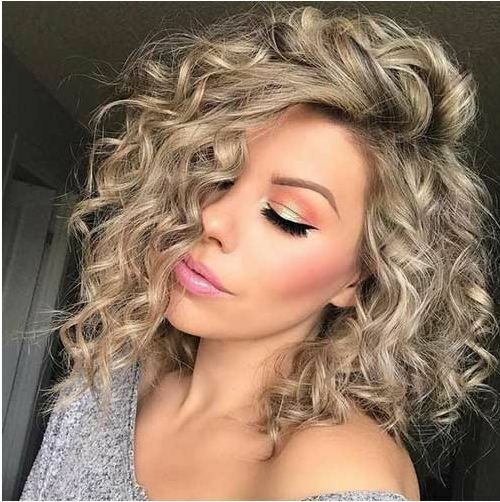 Some subtle highlights around the face help these curls to pop, but be sure to wait several weeks between coloring and perming to give your hair time to recover. 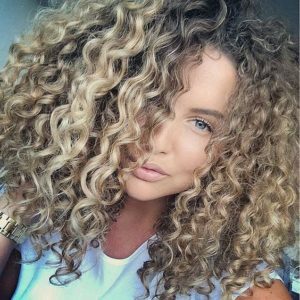 The soft texture in this spiral perm looks ultra natural, and can help revive hair that tends to fall flat without daily styling. The layers in this spiral perm style help to create a rounded shape similar to a Deva cut. We love this style for women with long or oval shaped faces and angular features. Curly bangs can be a bit of a gamble, but this style pulls the look off with just a few shorter pieces at the fringe, helping to minimize a larger forehead and gently frame the eyes. Locs this long take years to grow out and involve a pretty heavy commitment to the hairstyle. Using a spiral perm technique can help to breathe new life into standard straight locs, creating a brand new bouncy look. 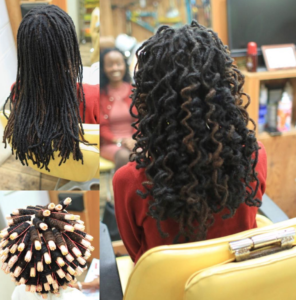 For temporary curls in your locs, you can do a spiral perm rod set at home without the chemicals required to make the look permanent. A spiral perm on this shorter hair creates a high volume look and helps to accentuate the stacked bob shape. 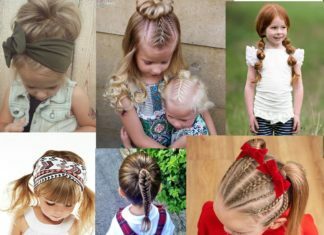 Keep in mind that this hair would have been several inches shorter before perming, so it’s best to wait until your hair is shoulder length before attempting this spiral permed hairstyle. With big curls that begin a few inches after the roots, this spiral perm hairstyle is full of vintage glamour. 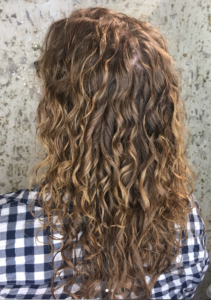 Another example of curly bangs done right, this spiral perm creates a fun and bouncy style that’s super low maintenance. 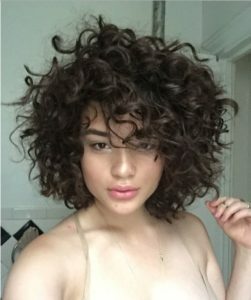 These before and after photos help to show how much shorter hair looks after a spiral perm. Long, straight hair will appear several inches shorter right after this chemical process, but will look longer over time both due to growth and curls loosening. If you’re considering a spiral perm, be sure you’ll be happy with a shorter looking style post-perm. Ombre color is a great choice if you want to add even more texture to your spiral perm style! Perms are back big time, and who says curls don’t loo good on short hair?! This stylish short perm hair is swept to one side, creating a voluminous and super chic look! These super long spiraled curls start loose and get tighter and bigger towards the ends. 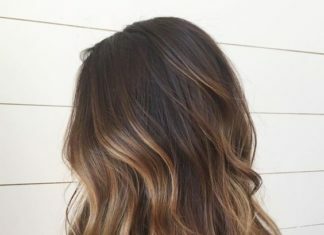 The highlights and lowlights create depth and volume making it look like your hair is much fuller than it actually is. 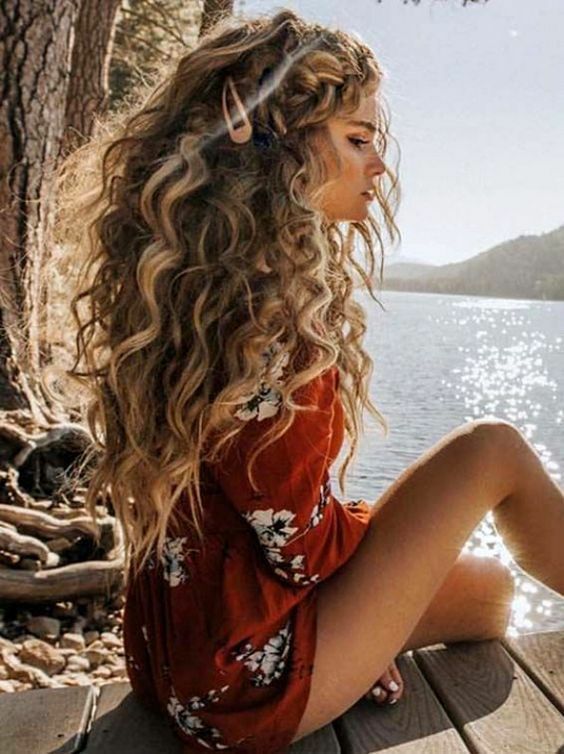 A bohemian look with beachy messy curls. Long and gorgeous balayage hair with wavy perm. 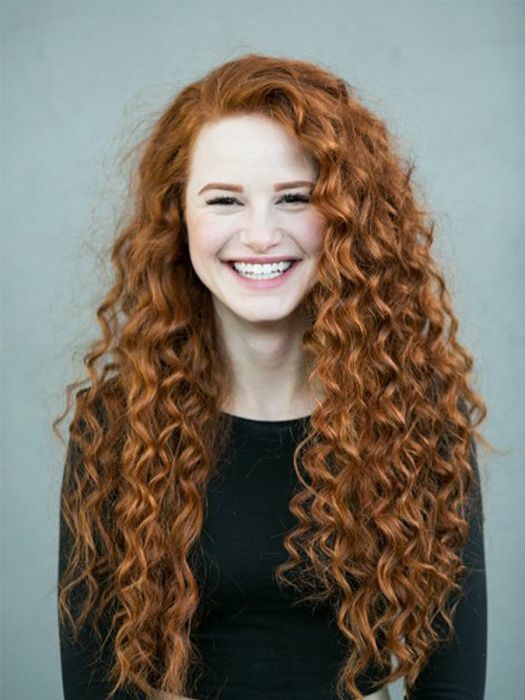 Side swept natural looking open curls. Another beach vibes look! 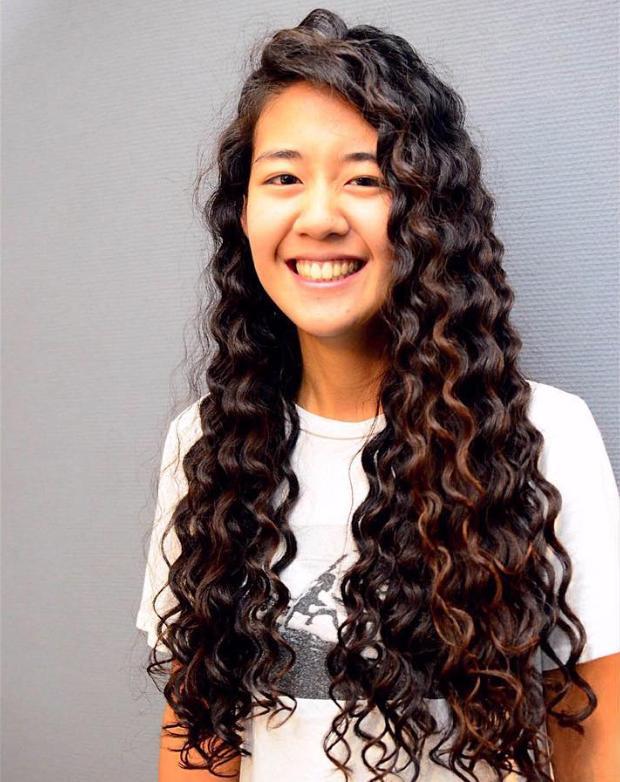 A wavy perm that almost looks straight. Beautiful short and voluminous perm style. Bohemian long loose curls with a side braid. 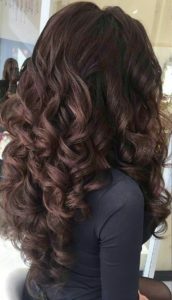 Chic defind curls with highlights. 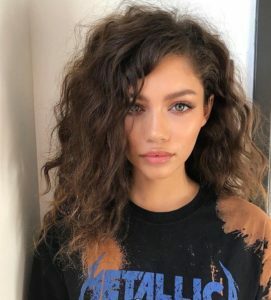 Another messy, natural looking yet edgy curly style. Well defined spiral perm that will look gorgeous for a wedding or a special occasion. 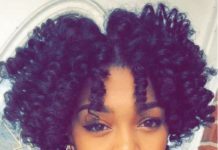 Chic and sext tight spiral curls! 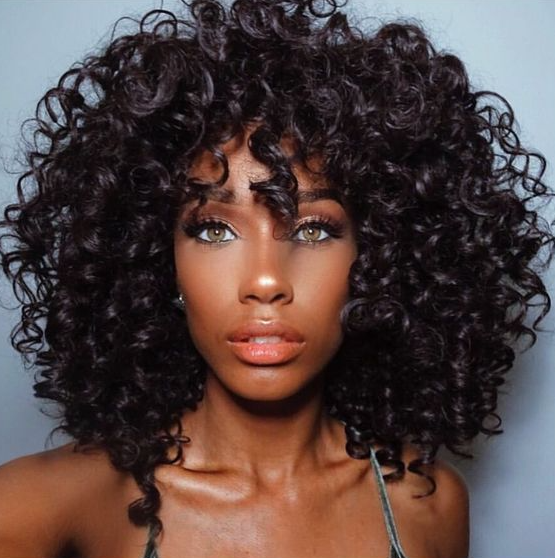 Another gorgeous look with big spiral perm curls.